For more than a century, the Olympics have been the modern world's most significant sporting event. Indeed, they deserve much credit for globalizing sport beyond the boundaries of the Anglo-American universe, where it originated, into broader global realms. By the 1930s, the Olympics had become a global mega-event that occupied the attention of the media, the interest of the public and the energies of nation-states. Since then, projected by television, funded by global capital and fattened by the desires of nations to garner international prestige, the Olympics have grown to gargantuan dimensions. In the course of its epic history, the Olympics have left numerous legacies, from unforgettable feats to monumental stadiums, from shining triumphs to searing tragedies, from the dazzling debuts on the world's stage of new cities and nations to notorious campaigns of national propaganda. The Olympics represent an essential component of modern global history. 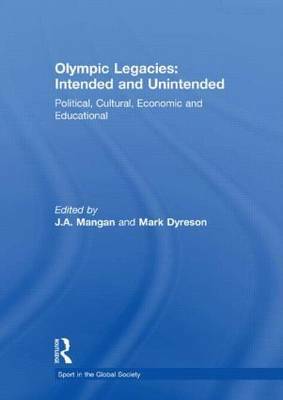 The Olympic movement itself has, since the 1990s, recognized and sought to shape its numerous legacies with mixed success as this book makes clear. It offers ground-breaking analyses of the power of Olympic legacies, positive and negative, and surveys the subject from Athens in 1896 to Beijing in 2008, and indeed beyond. This book was published as a special issue of the International Journal of the History of Sport.